Kaiser Permanente – Kaiser Permanente is America's largest not-for-profit health maintenance organization, serving 8 million members in 11 states and the District of Columbia. An integrated health delivery system, Kaiser Permanente organizes and provides or coordinates members' care, including preventive care such as well-baby and prenatal care, immunizations, and screening diagnostics; hospital and medical services; and pharmacy services. Aloha Bay Candles – It's only natural: strikingly attractive, hand-poured Palm Wax Candles that burn cleaner; fragrances that are 100% essential oils; wicks made of top-grade cotton. Barbara's Bakery – The #1 distributor of natural cold cereals in the United States. Bright Lights Candle Company – The 3rd best-selling manufacturer of candles in the Northeastern United States. A new tradition in candle excellence. All Bright Lights candles are made of the purest natural materials. Natural Health Yellow Pages – Want to find a natural product or service? This is your one stop! Our Natural Health Products Finder contains over 400 categories. LaCrista – The experts in natural skin care products. Specially formulated using natural ingredients, LaCrista skin care products are hypo-allergenic and gentle enough for even the most sensitive skin. The Sadkhin Complex – Dr. Sadkhin's revolutionary approach to self-health care, based on seasonal and human rhythms. Parrillo Performance – John Parrillo has guided the world's top bodybuilders in developing programs for nutrition and fitness training; now you too can benefit from his programs, products, and publications. Sparrow Maker Natural Technologies – THE source for non-tobacco herbal smoking products. 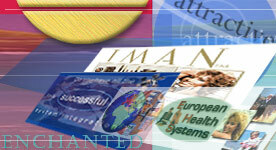 Global Health Systems* – Superior health products from around the world, with a special emphasis on Europe. Exclusive U.S. importer of leading edge European nutritional product lines. Health Advantage* – Providing you with the leading edge in health products. Potomac Greentech – Aromatherapeutic products for the mind, body and spirit; featuring their unique Herbal Eye Pillows. Model, Personal Trainer, and Counselor: Budge Collinson – Budge Collinson is a certified personal trainer and counselor through NASM, ACE, and NHE, with extensive knowlege and experience about health and how to alter body composition. Modelling agencies looking for male models will find Budge's photo portfolio very useful; it contains shots ranging from casual, to formal, to fitness. Flower Essence Services – Body-mind wellness through nature's living archetypes. Natural Net Marketing – Turn your natural products website into an Internet PROFIT CENTER. Blessings From Nature – Regularly "cleaning out" our systems from the toxins it accumulates is a necessary part of a healthy lifestyle. Our herbal "clean-out" products do precisely that in the most natural and high-quality manner. 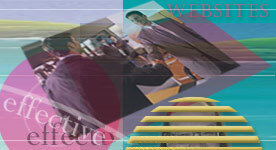 For more of our websites, click here.